Dupont Sorvall SS-34 Fixed Angle Centrifuge Rotor 20500 RPM Tube (8x) 50mL & Lid . New Life Scientific, Inc. 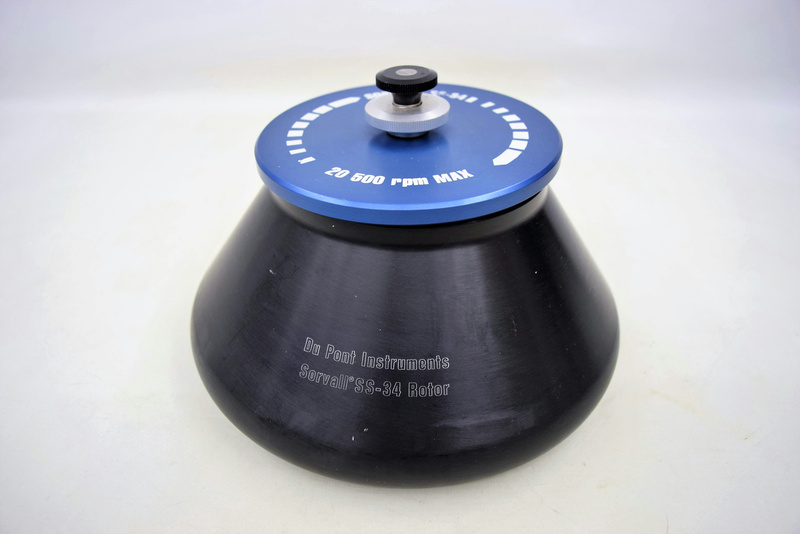 This SS-34 fixed-angle rotor is compatible with several Sorvall floor centrifuge models, as outlined by Thermo Scientific. The Sorvall RC-5 Plus, the RC-6, and the Evolution RC series can spin this rotor at speeds with respect to the manufacturer's maximum RCF and speed specifications that vary per centrifuge. Please see the specifications below or contact us for more information. Our on-site New Life Scientific technicians visually inspected but did not test. This rotor is in good condition with a few scratches that does not inhibit the use of the rotor.